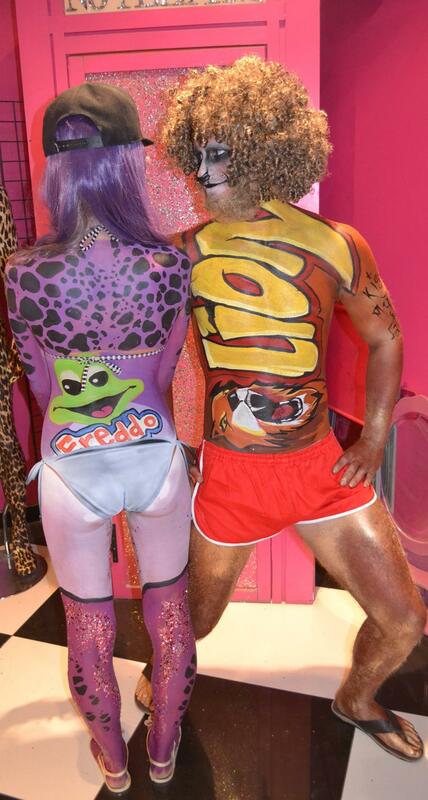 Hey O Beach Blog Readers, we’ve been asked to compile some of our hottest bodypaint and make up trends for this summer in Ibiza by our good friends at O Beach so you know exactly what’s hot for your holidays on the White Isle! 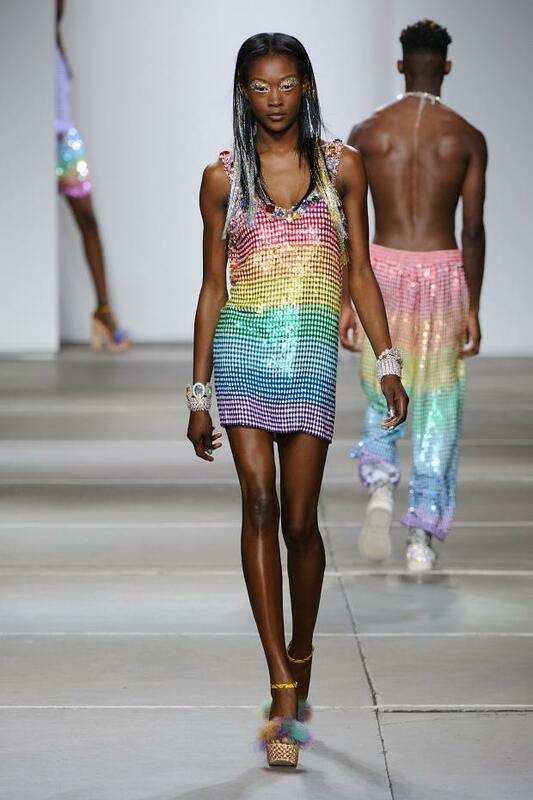 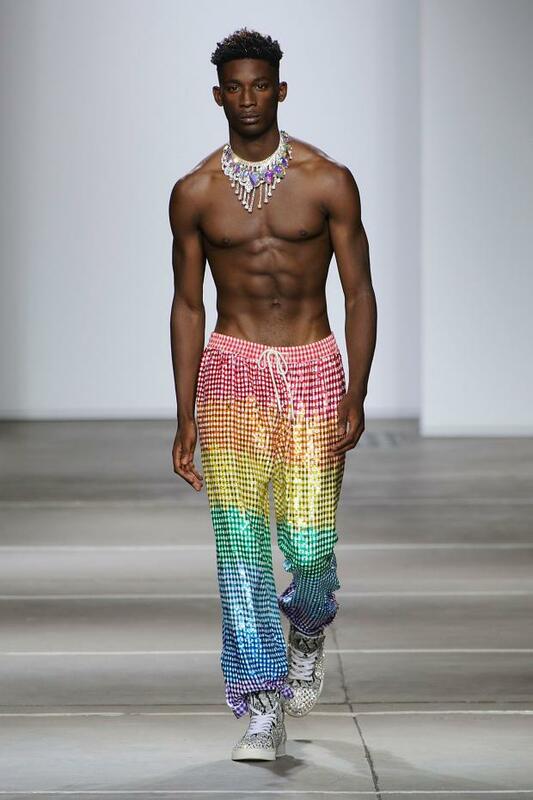 Let’s start off with the achingly cool Ashish SS15 catwalk collection which screamed out summer with it’s rainbow sequin creations including gorgeous summer dresses and super cool men’s joggers! 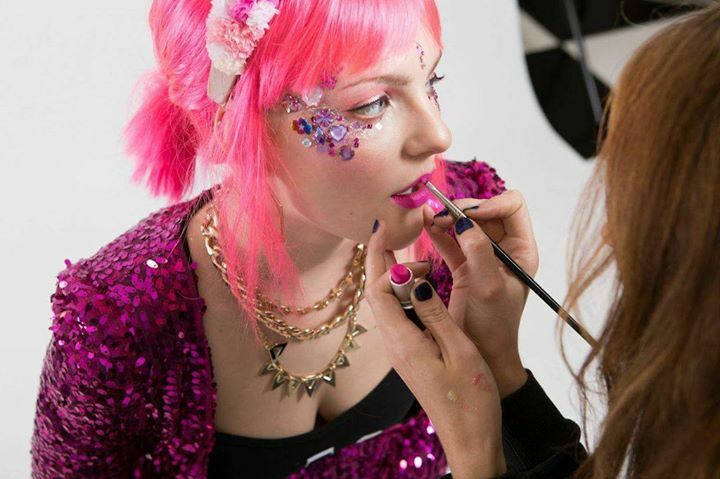 They teamed this collection with tinsel hair extensions and cosmic glitter and crystal eye designs which looked so Kiss My Fairy! 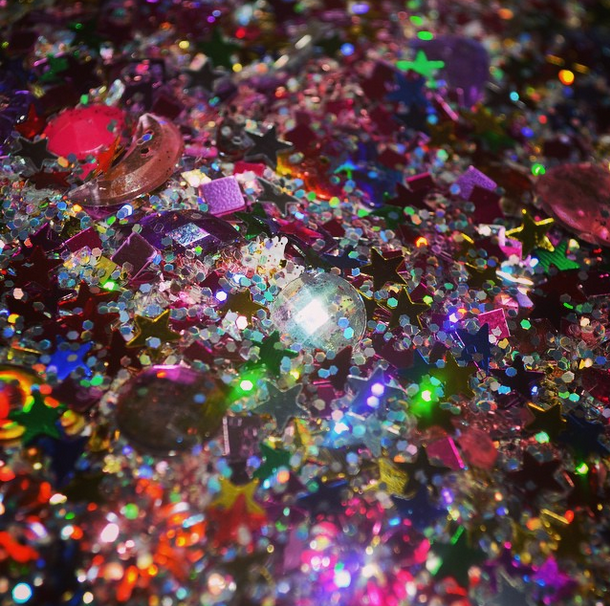 We’ve been busy producing lots of new glitter and lots more embellishment pieces to make our bodypaint spandangle even more sparkly and 3d this year! 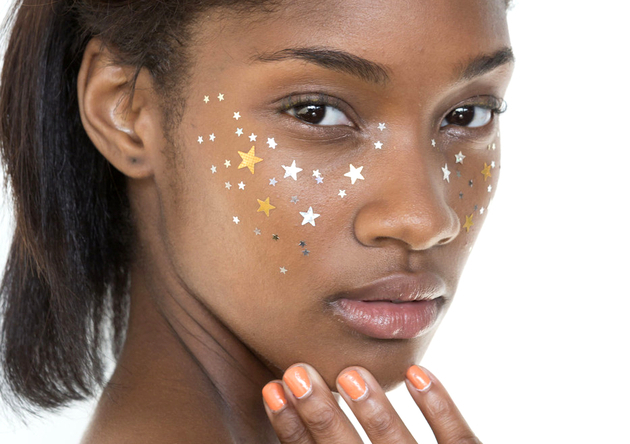 Tommy Hilfiger also got in to the vibe of face art with their SS15 collection creating a festival chic inspired catwalk with stars taking the centre stage. 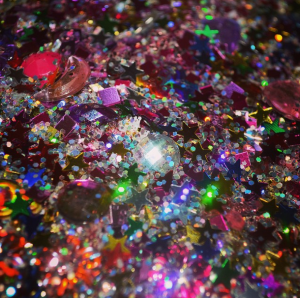 We saw the likes of Kendall Jenner strutting their stuff complete with temporary star tattoo transfers and stardust booties. We actually think it looks a little cooler if you add a bit more metallic in to the mix like these gold and silver stars. 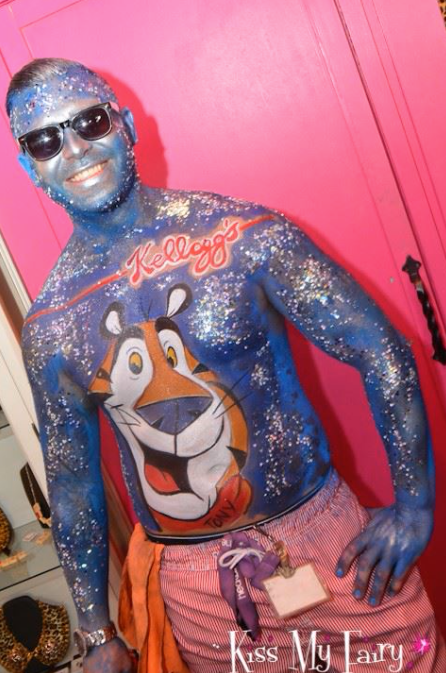 Sorry Tommy! 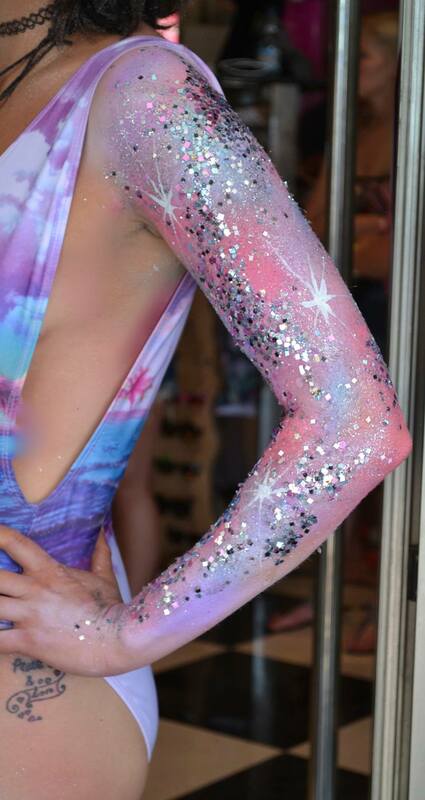 Or if you’re looking for something with a little more impact here’s a version of our star arm design. 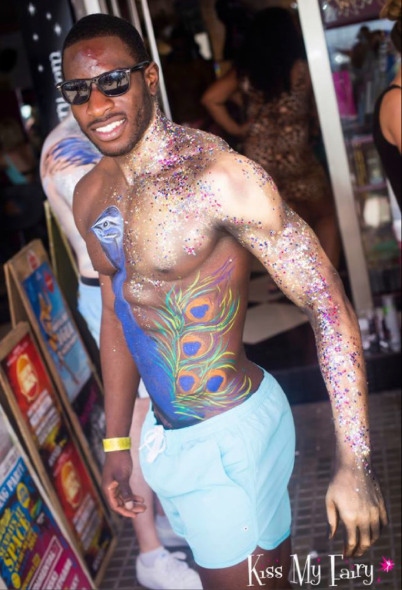 O Beach is the place to be daytime’s in Ibiza and everyone definitely has the aim to dress to impress so make sure you are ready to make your arrival known. 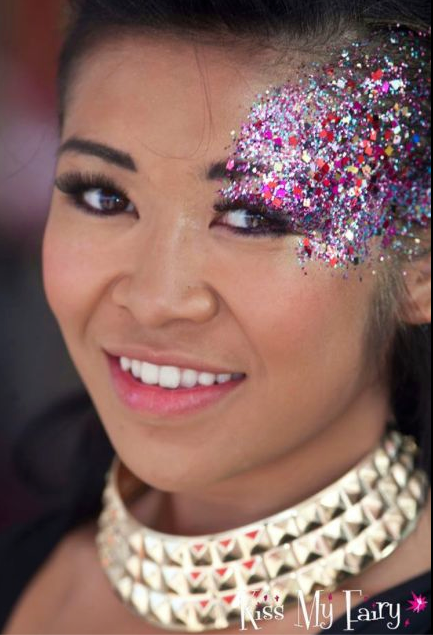 Our glitter eye is the perfect look to complement your outfit for a day at ocean beach as the sun glistens from our unique bespoke glitter and ensures you never lose your sparkle. 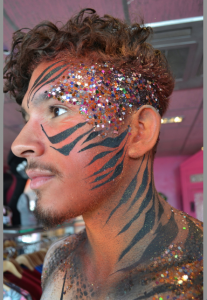 And boys you’ll be pleased to know glitter is not just for girls! 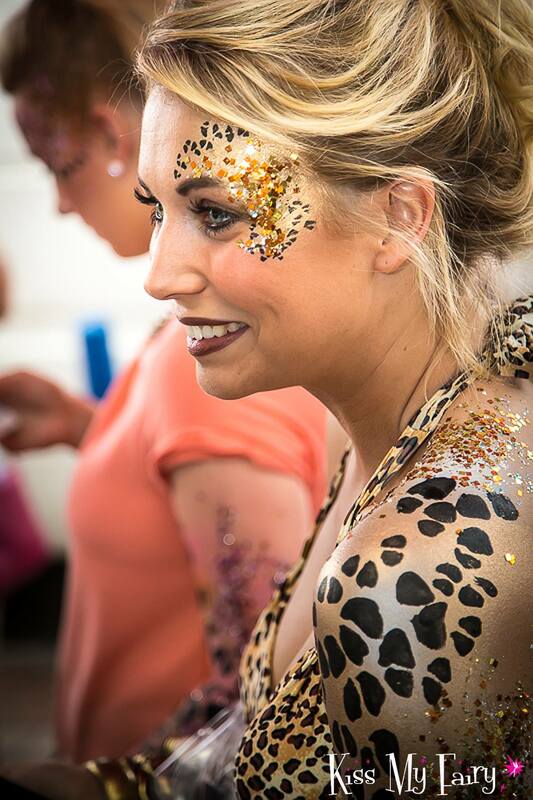 So the infamous Zoo Project returns this year with their Saturday parties returning to Gala Night and we love nothing more than when people really use their imagination for the parties and come to us with an unusual animal design to create. Last years favourites for guys were parrot arms, full peacock designs and animal chocolate bar wrappers. For girls we were taking inspiration from the rainbow hair colour trends and creating brightly coloured poisonous reptiles, psychedelic zebras along with our classic golden leopards and beautiful tonal feather arms. Visit our website at www.kissmyfairy.com for further info or to make an appointment with one of our artists and we look forward to seeing you very soon on the white isle!